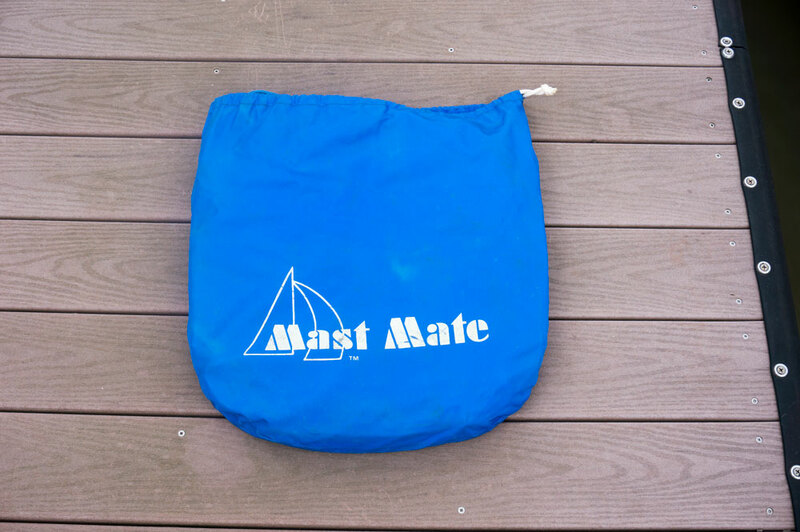 First off, I have no affiliation with MastMate. I actually bought mine second hand from a guy in the Clear Lake Racing Association. It’s basically just a long piece of heavy duty nylon with triangles of nylon sewed onto each side and cars for the mast track sewn on one edge of it. It’s coils up nice and flat for storage. To use it I have to remove the sail cars from the mast track. Then I release the topping lift and lower the end of the boom to the deck. We only have two halyards, the main and the jib. 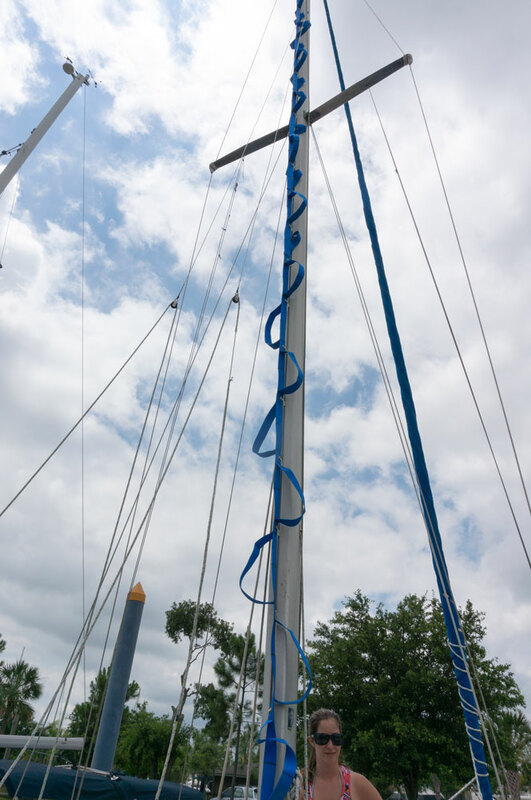 The jib halyard is always in service holding up the roller furling, so I use the main halyard to raise the MastMate, and I use the topping lift as a safety line tied to my harness. 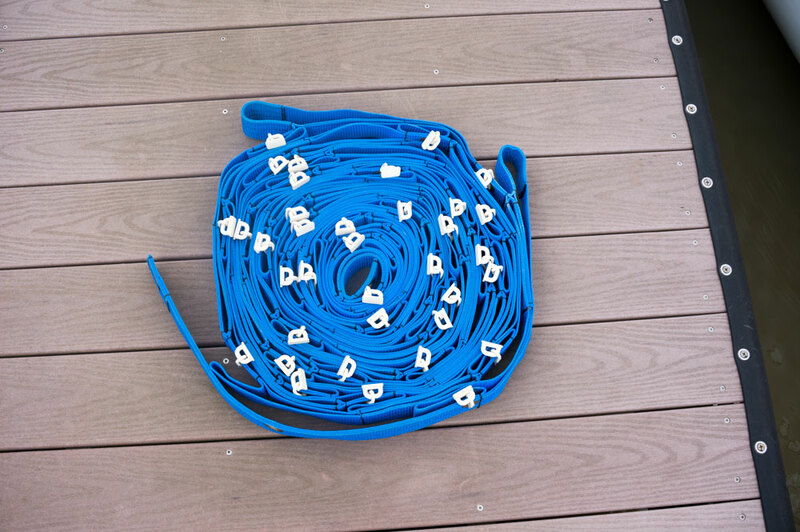 The main halyard attaches to the grommets at the top of the MastMate, and you feed the cars into the track as you raise it. 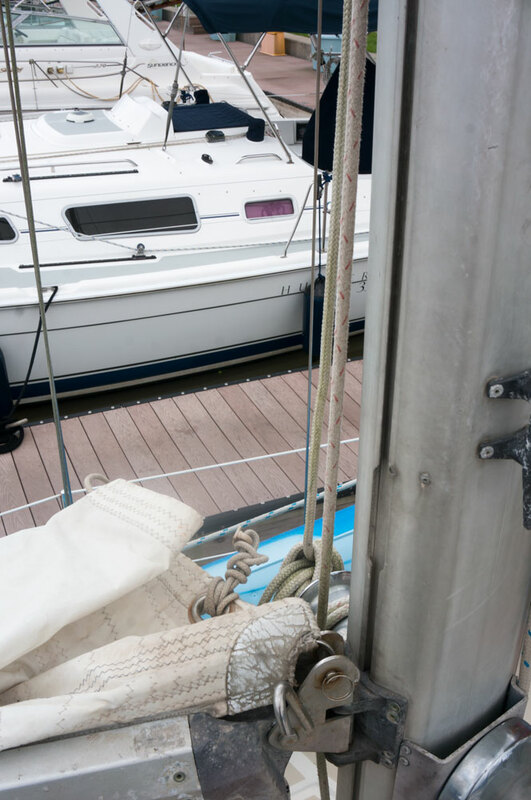 If the wind is blowing hard one way or the other, you might have to tuck the steps on that side under, so they don’t get stuck in the lazy jacks or standing rigging as you pull it up. Once you get it to the top of the track, you just cleat it off. With only about 10 minutes of work, you’ve got your own stairway to heaven. 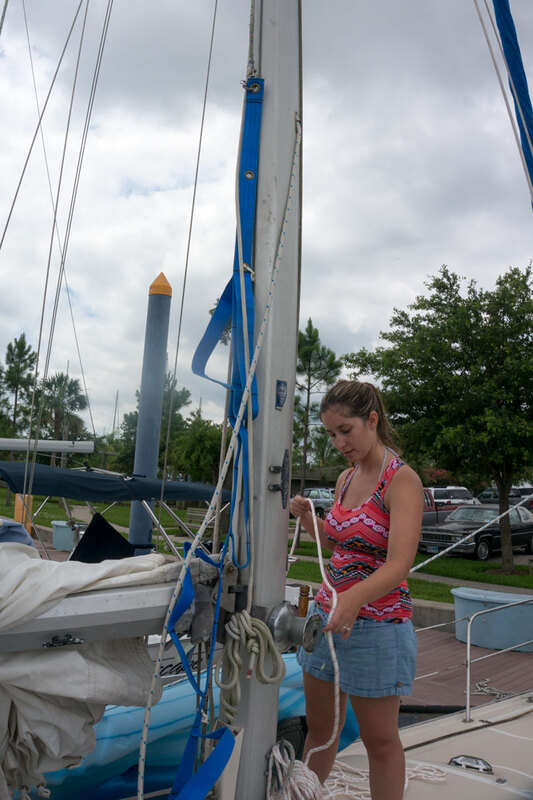 Going up and down is all leg work as you keep your arms around the mast and just move from step to step as if you were climbing a ladder. It’s still advantageous to tie off at the top, both for safety, and because you can sit down in your harness to work instead of having to stand and balance the entire time. What’s your preferred way to climb the mast? 100% agree! I was lucky enough to inherit a Mast Mate from my boat’s previous owner and I love it! I use a rope harness around my waist and the mast, which lets me take some of the weight off my arms and rest. One of the best features of this product is that you can climb up to the top of the mast and be above the top so you can actually work down on the antennae, windex, etc, . Love it!